Widely regarded as the best season of Pokemon, the initial Indigo adventures star Ash Ketchum, a young Trainer who travels the Kanto region in search of new Pokemon and Gym Badges. 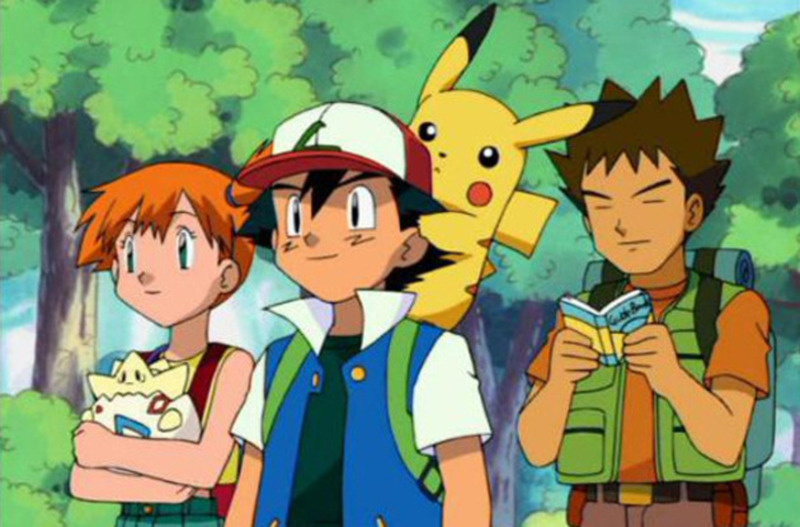 Aided by friends Brock and Misty, Ash manages to accumulate all eight Badges and enter the Pokemon League. However, he obtains several in unorthodox ways and only truly defeats some of the Gym Leaders. So, let's take a trip down memory lane and examine how Ash fares against the eight original Gym Leaders! Ash gets trounced in his first-ever Gym battle. 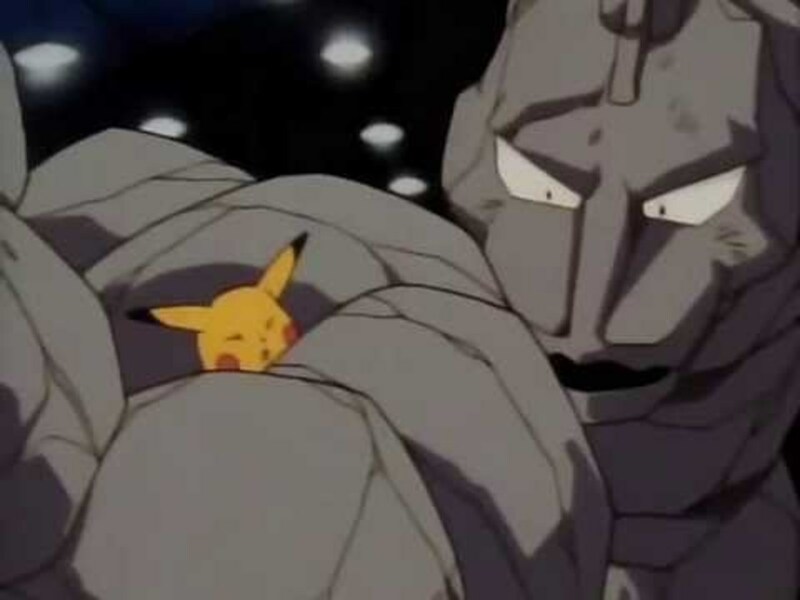 Pikachu's electric attacks have no effect on Brock's Onix, causing Ash to forfeit before Pikachu is seriously harmed. Ash really didn't have much hope here, as all his Pokemon at this point are weak against Rock and Ground types. Ash soon rechallenges the Gym after supercharging Pikachu at the local hydro-electric plant (is that cheating?). 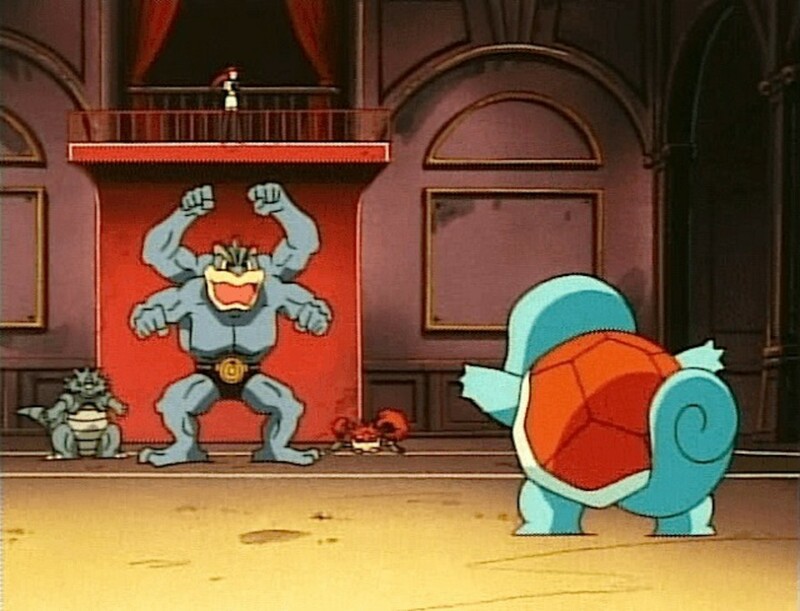 Ash's Pidgeotto can't harm Brock's Geodude, but Pikachu beats it with its new power. Onix again battles Pikachu, and ends up losing, if only because the sprinkler system activated, weakening the Rock Pokemon. So...Ash did technically triumph against Brock, but only after supercharging Pikachu and being fortunate with the sprinklers. 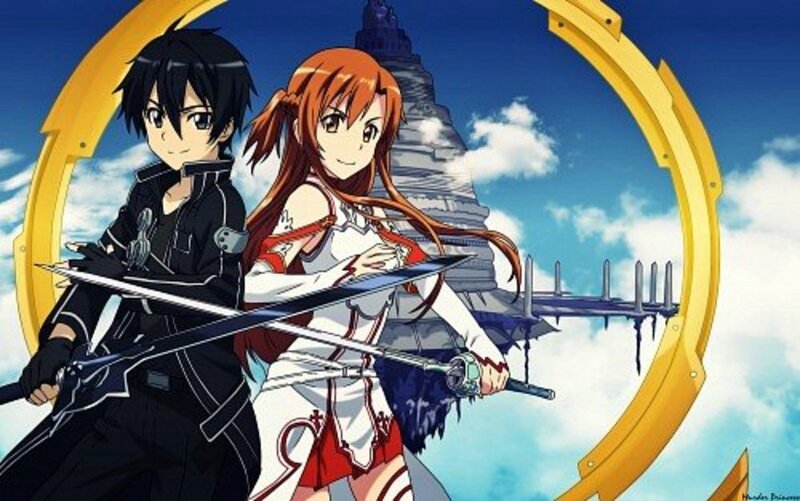 Credit for not giving up despite having type disadvantages, but luck more than skill determined the victory. In an interesting turn of events, Ash discovers Cerulean City is run by Misty's three older sisters. Not only that, they want to give him the badge without battling, as they dislike matches. This irritates both Ash and Misty, and Misty decides to face Ash for her siblings. In a 2-on-2 match, Ash gains the upper hand, even without using Pikachu, who was reluctant to battle an ally like Misty. Team Rocket interrupts the contest and it's never concluded, but Ash earns the badge anyways. As Misty's sisters mention, he had a solid lead and almost certainly would have won had Pikachu fought Misty's Water Pokemon. Not quite an official win, but close enough. Nice job, Ash. Ash uses Pikachu to face Lt. Surge, a rather demeaning and arrogant Trainer, who sends out Pikachu's evolved form Raichu. 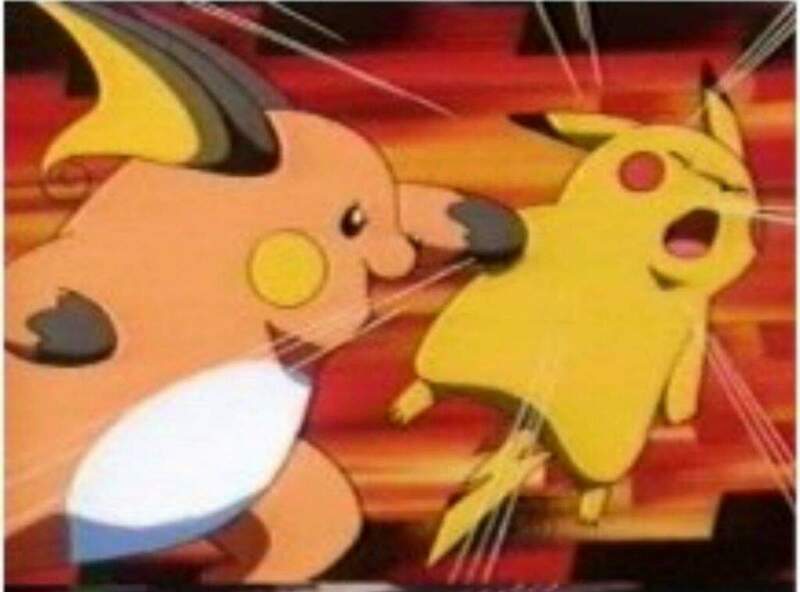 Pikachu tries to match Raichu blow-for-blow, but cannot withstand its greater power and loses handily. 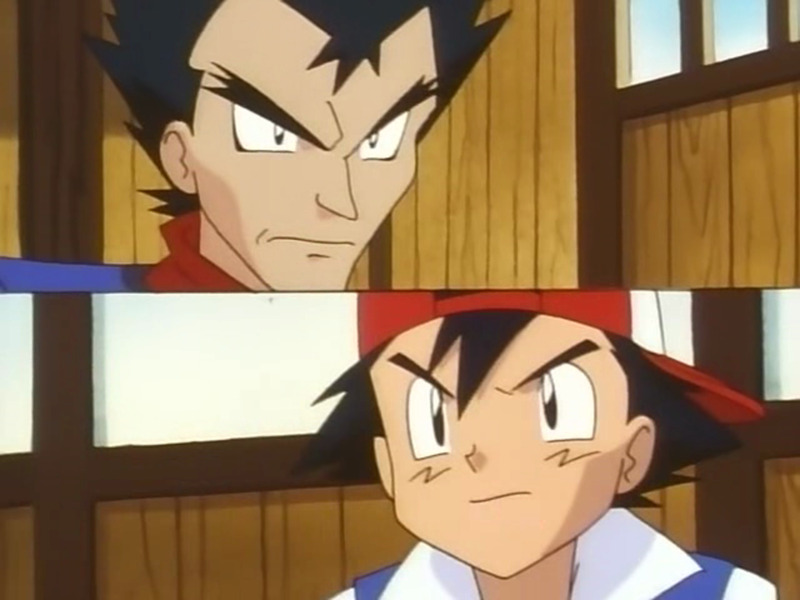 Despite Ash's loss, he and Brock correctly deduce that Surge's Raichu evolved too quickly without properly developing speed in the Pikachu stage. Thus, Ash rechallenges Surge, again pitting Pikachu against Raichu. This time, Ash and Pikachu outmaneuver Raichu rather than face it head-on, and successfully defeat the rodent. Not bad! Ash challenges Sabrina earlier in the anime than Trainers do in the games, which is really a bad idea considering how terrifying Sabrina is. She uses an Abra, who soon evolves to Kadabra during the match. Using teleportation and psychic powers to redirect Pikachu's electricity, Kadabra ruthlessly batters Pikachu until Ash forfeits. Seriously, that Kadabra is a beast. 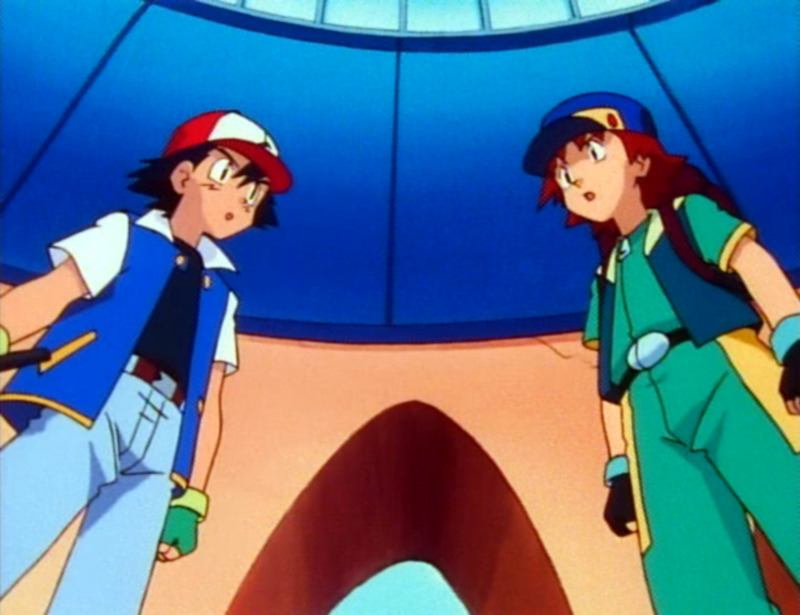 A few episodes later, Ash again duels Sabrina, planning to use his new Ghost-type ally Haunter during the battle. However, Haunter disappears before the clash begins, causing Pikachu to again face Kadabra. Pikachu does better this time, landing a Thunderbolt, but Kadabra uses Recover to simply heal itself. Geez, that thing is invincible! Ash is saved in the nick of time by Haunter, who makes Sabrina and Kadabra laugh with its silly antics. 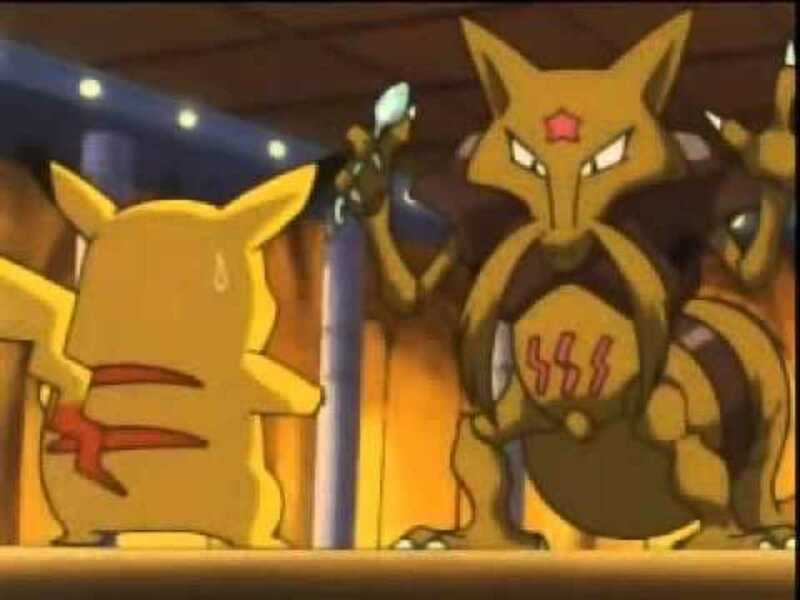 Grateful to Ash for finally helping her smile, Sabrina calls off the battle and bestows upon Ash the Marsh Badge...a fortuitous conclusion considering Kadabra's unholy strength. Ash's sole battle against Erika has no definitive conclusion; Team Rocket interrupts the match. 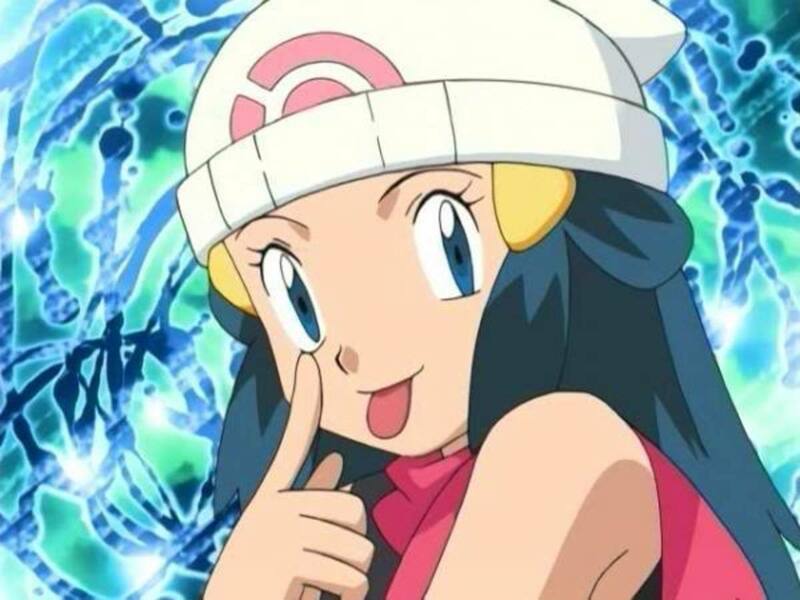 However, Erika had the advantage, knocking out both Bulbasaur and Charmander while only losing Weepinbell. Pikachu would have had to defeat both Tangela and Gloom to win, not an easy task considering Grass Pokemon resist electricity. 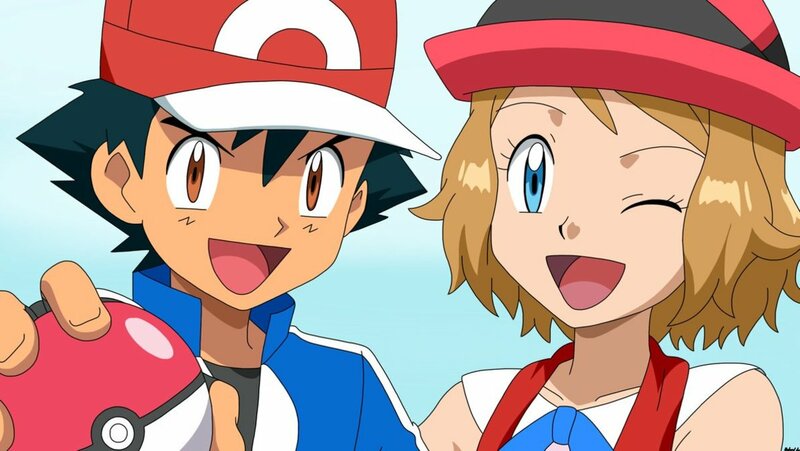 Ash never concludes the skirmish with Erika; she awards him the Rainbow Badge when he helps save Gloom from Team Rocket's plans, but things seemed to be progressing in her favor. Ash performs admirably, first defeating Koga's pupil Aya before facing the Gym Leader himself. Pidgeotto battles Koga's Venomoth, but the match is soon disturbed by Team Rocket (those guys really need a new hobby). Koga and Ash finish their battle using different Pokemon. Now free from interruptions, Ash's Charmander fights and beats Koga's Golbat. Not much else to say, Ash won this fair and square. Long story short, Blaine conquers Ash in a 3-on-3 match. To be fair, Ash's disobedient Charizard wasted a slot as it refused to battle. Ash wisely forfeits, worried for Pikachu's safety. Impressed after seeing Blaine's Magmar's power, Charizard decides to face it for Ash. 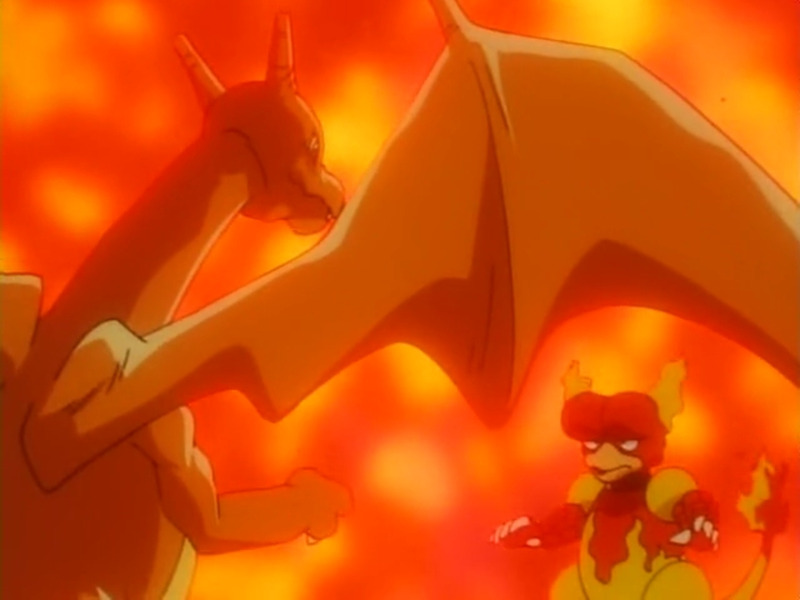 Honestly, this was a pretty cool battle where Charizard actually listened to Ash, if only this once. Yet again, Ash took two tries to beat a Gym, but his strategies weren't so bad; in the first clash he knew to fight Fire-type Ninetails with Water-type Squirtle, and he does well in the rematch. In the games, for their last Gym battle players face the master of Viridian City, Giovanni, who also serves as head of Team Rocket. However, he's unavailable when Ash challenges him and entrusts Team Rocket grunt Jesse with his Pokemon. 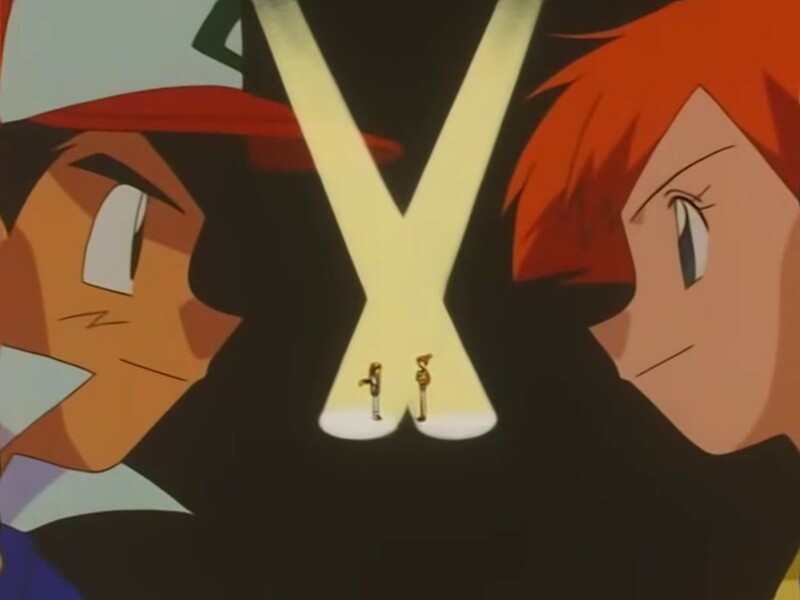 In a very unorthodox match (Jesse's machines make both Trainers feel pain whenever their Pokemon do, each Trainer ends up using multiple Pokemon at once, yada yada), Ash narrowly defeats Jesse and seizes the Earth Badge. Which Gym Leader is your favorite? Ash gets some flack for his fluctuating intelligence and checkered win count, and it's true that many of his badges were obtained without winning or required rematches (see the summary below). 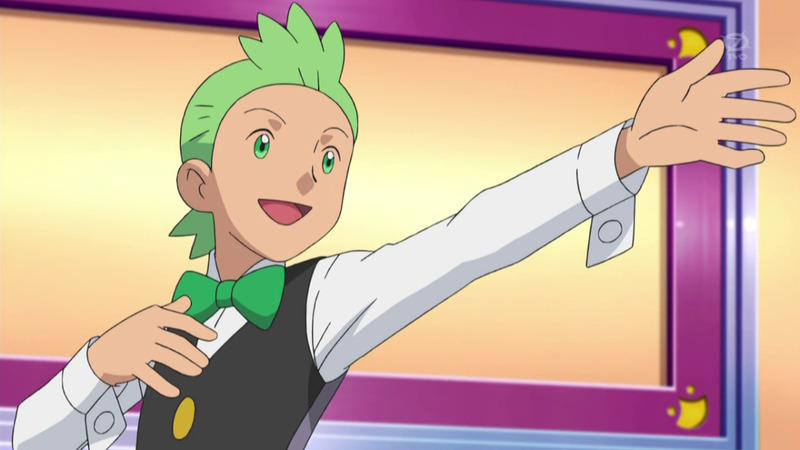 Nonetheless, Ash implements superior strategies in rematches and earns the respect of the Gym Leaders with his dedication to his Pokemon. Personally, I enjoy how the Kanto Gym Leaders posed a real threat. We rooted for Ash to overcome these fierce opponents whenever he faced them, knowing he was in a for a tough fight he may very possibly lose. These adventures were a worldwide phenomenon that captivated us fanatics and reminded me how fun this series can be. Just please, no more Team Rocket interruptions of perfectly good battles. Who is better, Giovanni or Ghetsis? Most classic Red and Blue fans like myself would probably say Giovanni, who is more iconic, but regarding actual battling, Ghetsis has a much stronger and more diverse team, at least in the video games. Which is Ash's strongest Pokemon? Decent analysis but you're largely rehashing what I already said. You also miss some points, like the fact that Ash essentially handicapped himself against Misty by not using Pikachu. Brock - No, if the sprinklers didn't go off, he would've lost again he was JUST about to give up before the sprinklers went off. I wouldn't count this as a win. Lt. Surge - Yes, it took 2 tries but he legitimately beat Surge in their rematch. Sabrina - HECK NO, he got DESTROYED in their first battle, and didn't even win the rematch. He got the badge because the Haunter he didn't even catch, the Haunter that ditched him TWICE, and was more interested in goofing around made her laugh....WHAT?!? Erika - No, like Misty this battle was more or less a stalemate. Tangela (Kind of) beat Bulbasaur, Charmander beat Weepinbell, Pikachu vs. Gloom was interrupted and the gym set on fire. Ash got the badge for rescuing her Gloom from the gym while it was on fire. Koga - Yes, he legitimately beat Koga on the first try. Blaine - Yes, he lost their first battle, but beat him legitimately in their rematch. Earth Badge - .....I don't know honestly, Ash didn't even battle the ACTUAL leader and beat stand-ins that wound up eventually becoming the usual Team Rocket encounter. 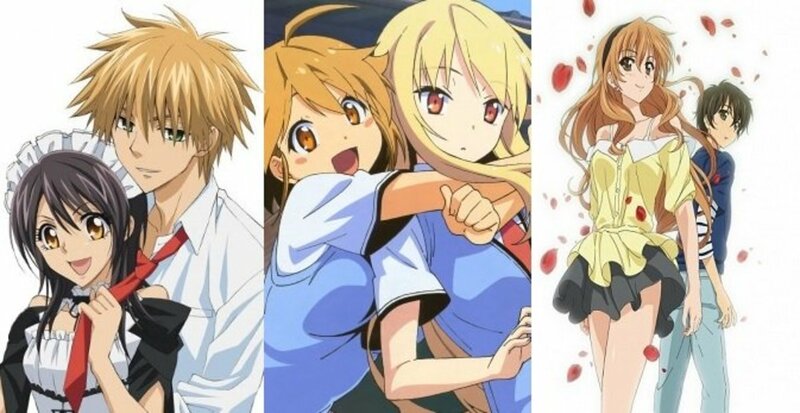 So this can go either way really. Ash got most of his Kanto Badges because of pity basically. He did good deeds, yes no one can take that away from him. A good trainer has to have good integrity and Ash showed that he does have that, but the Gym Leader's job is to test the challenger and make sure they're ready for the Pokémon which Ash VERY clearly wasn't. He had the integrity of a good trainer, but neither he or his Pokémon had the skill or power to match, hence why Ash had to rely mostly on luck to save him in the Indigo League by using Pokémon he NEVER used beforehand to bail him out of trouble when his more reliable Pokémon couldn't get the job done and when he fought Ritchie, his luck ran out. Sorry about misspelling your name! Slipped right past me. You're definitely not the only one who was annoyed at Ash's incompetence, Rachel, as many fans criticize his fluctuating abilities. In his defense, he was a rookie Trainer of 10 at the time (many of us made poor strategic decisions when we first began the games), and didn't have the best options against Brock. Still, many of us expect our protagonist to overcome most hurdles, and seeing Ash consistently stumble was rough. Interesting. It did kind of annoy me as a kid how little Ash knows and learns about Pokemon battle strategy. He sends a Pikachu against Brock, attacks a Pidgeotto with a Caterpie, etc. I think the writers made him dumb on purpose so they could have someone else, usually Misty, point out his strategy mistakes for the audience's benefit.